To begin registering your smart card, click on the Register link in the left side bar as highlighted in Fig. 1. Each smart card is assigned a unique, permanent serial number when it is manufactured. This number consists of two parts. Type “05” in the first box and the number printed on the back of the card in the second box. Example: 05-123456789. The printed number may be 9 or 10 digits long. Enter and re-enter your card number in the Your Card Information section and give it a descriptive name to identify it. See Fig. 2. Complete the Cardholder Information section. 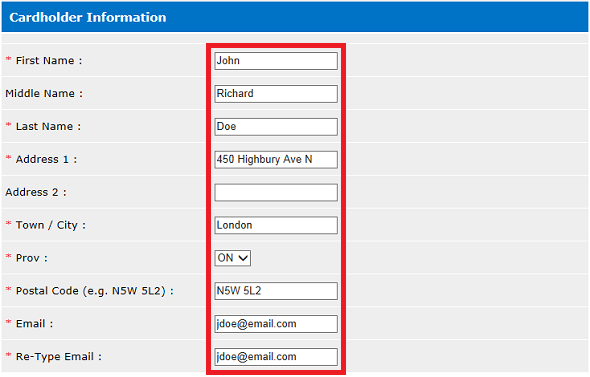 Fields with an asterisk are required. In the Security Information section, enter and re-enter a password that meets the necessary criteria. This password will be necessary for accessing your account and performing transactions in the future, so be sure to remember it! 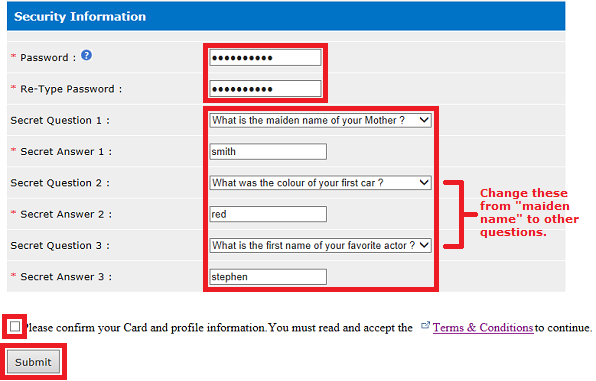 Next, select 3 unique security questions and fill in the answers in the provided boxes. You will need to remember these answers in the event that you lose your account information. See Fig. 4 for examples. When finished, check the Terms & Conditions checkbox and click the Submit button. If your registration was successful, you will be automatically logged in and redirected to the Welcome page. From here you can manage your cards and your account.